Do you ever wonder where your paper or lumber is produced? You can Thank a Farmer or Rancher for that! The timber industry is pretty big in Arkansas. 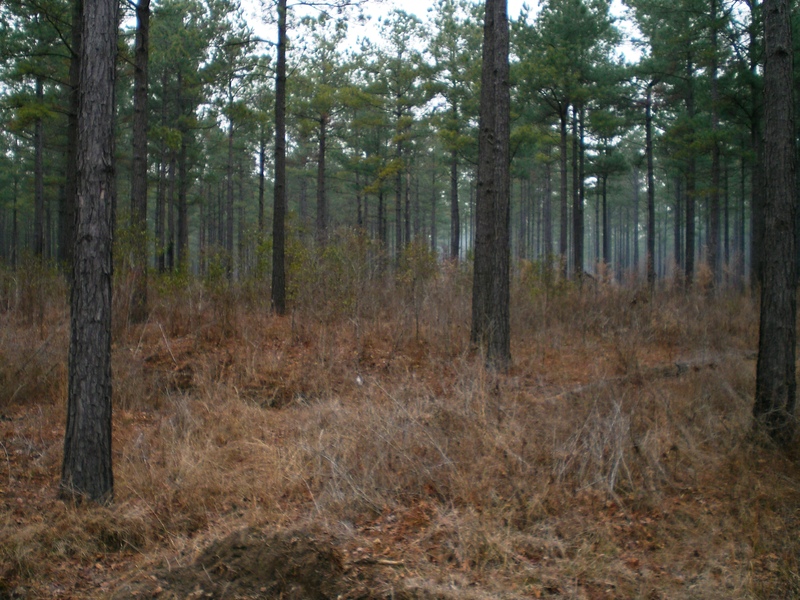 According to the Ouachita Partnership for Economic Development, 18,778,660 acres, or 56% of Arkansas’ land is used for growing timber. This industry contributes more than 32,200 jobs to Arkansas’ economy. 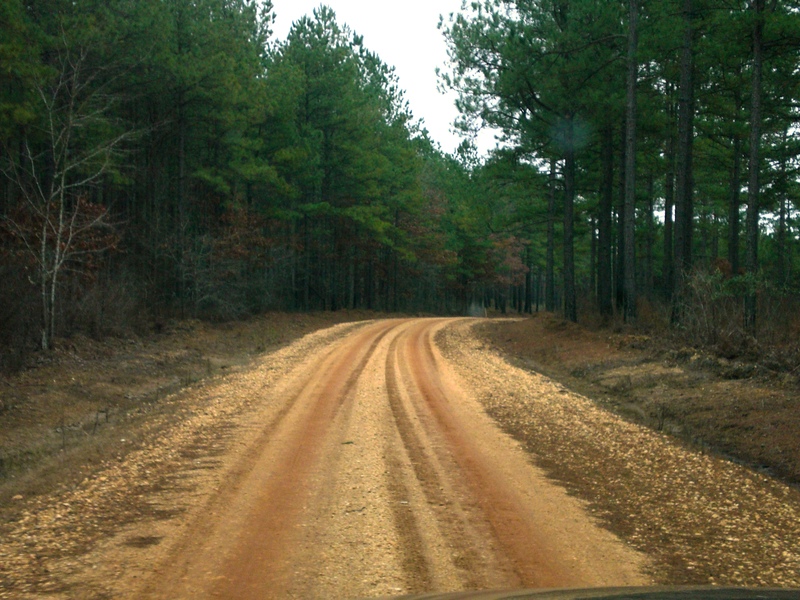 On our ranch we have some timber land and there is a lot more to the job than sitting and watching trees grow. 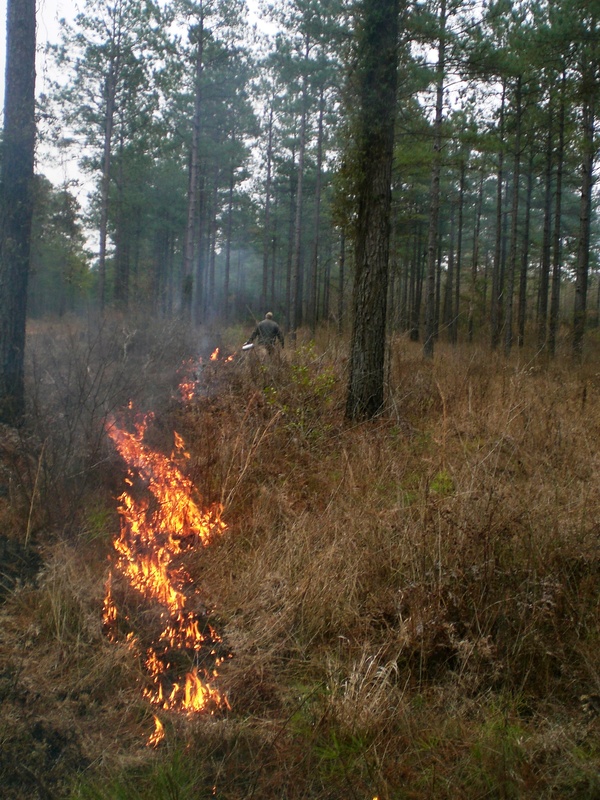 From January through March we will be burning underbrush in the tracts to control hardwood and weed growth and give our pines the best opportunity to grow. This is all a new experience for me, so you will be learning right along with me. After getting careful detail, I was able to make it to the right tract. All of the roads look the same to me, and it is pretty easy to get lost. 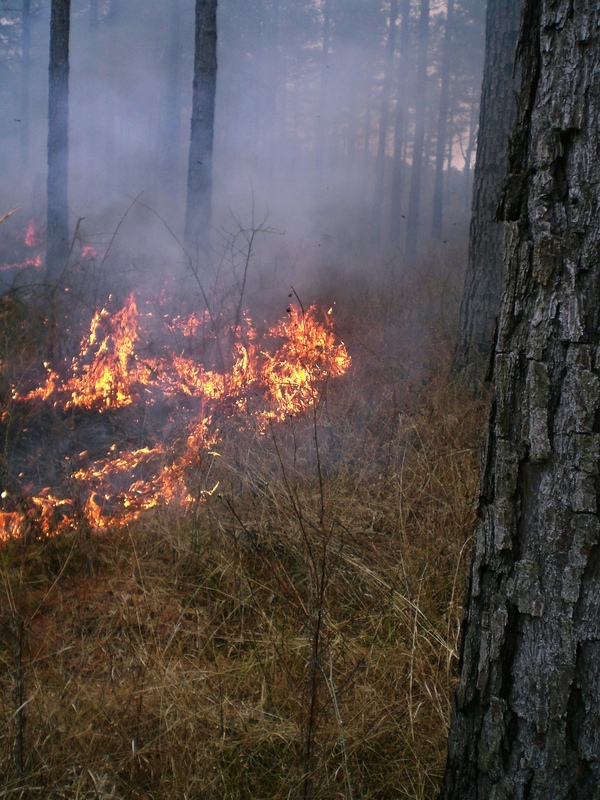 This is some of the undergrowth that we will be control burning. 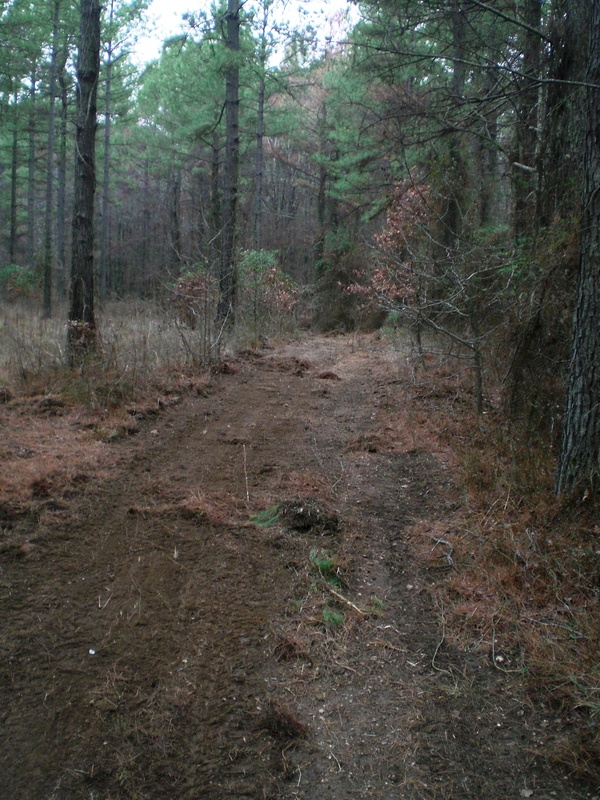 Before burning, we must take a bulldozer and clear the fire lane around each tract to prevent the fire from jumping between tracts. We use fuel to create a line of fire. Starting down wind with one line, then moving up wind so we can use the wind to drive the fire, but limit the momentum the fire can gain. Conditions are a little wet right now for a good burn, but we will have to see what it does next time. Growing timber is all new to me, so I will be sharing the whole cycle as I learn more about it! Does your family grow timber? What variety of timber do you grow and what tips can you give me? Question, will the ranch harvest the timber when the time comes, or do you have crews come in? I’ve been to a guy who rotates pigs through his and timber land to let them clean the brush and till the soil around the trees, then sells them as acorn fattened pork. Though he admittedly doesn’t have the problem of feral hogs to deal with. Good Q. I have not been here for the harvest, this is all new to me, but I am pretty sure there are local crews that contract to harvest the timber. There are several local people who have timber harvesting equipment and crews. Good idea on the hogs. I have not thought about using them to “turn-over” the organic matter and underbrush. 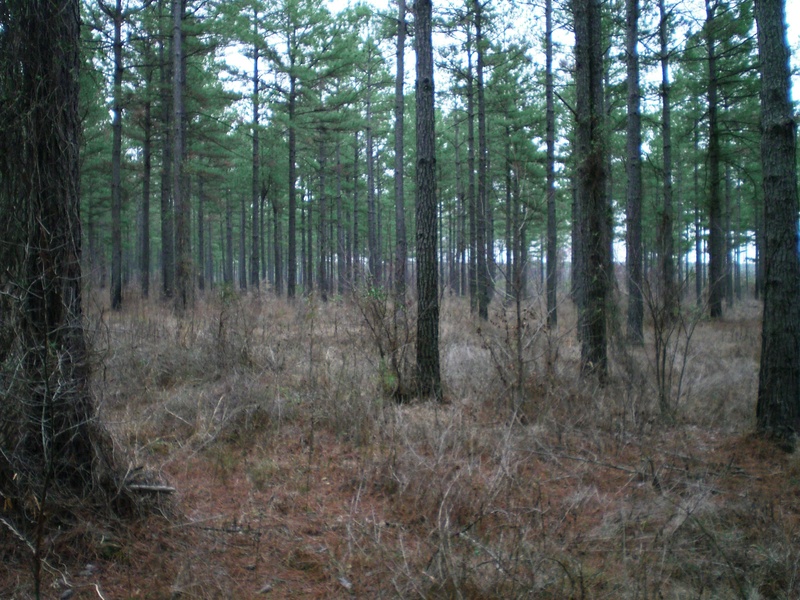 But it would be quite an investment to keep predators out and the hogs in, as much land as many timber tracts cover in Arkansas. whats the special in Arkansas’ land. why they are growing only timber? But I appreciate for their efforts.